We are all excited here at Kampala Children's Center as our Destiny Africa Children's Choir prepare to fly to London today for their European Tour! 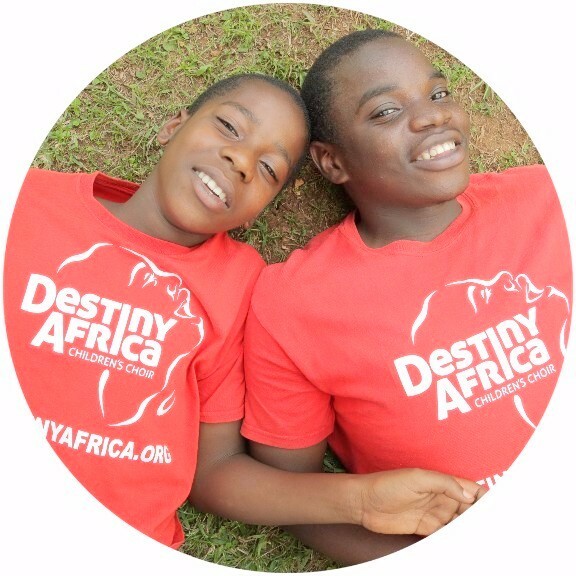 Preparations for the tour have taken many months from people all across Uganda, Belgium, Germany and the UK as well as hard work from the choir and Destiny Africa team. As we are finally ready and the tour is about to begin, we would really appreciate your prayers with us along the way. If would like to join us in blessing the children and the team or even circulating within your networks, you can find areas we will be covering to make this the best tour yet! The Choir, team and volunteers will have safety upon the road throughout their 5 month travels throughout UK, Belgium and Germany. Volunteer minibus drivers will be covered in safety for their many hours on the road. That strong relationships will be built both in the team and everywhere they travel. The families of Ugandan staff members who have traveled to the UK for the tour. The title of the Tour is 'I am loved'. We pray that everywhere the choir go people will tangibly experience the love of God. Churches, business', schools and individuals are inspired to contribute, financially and but also in prayer, skills, time and advocacy. To bless our sponsorship programs to continue to support the ever rising cost of basic supplies in Uganda. Thank you for all your support and for keeping Kampala Children's Centre so close to your hearts, it is deeply and gratefully appreciated!